Premium List and Entry form now online! Owning horses, especially Arabians, Half-Arabians and Anglo-Arabians, has many real benefits. If owning horses can touch and meaningfully change our lives, what makes Arabians, Half-Arabians and Anglo-Arabians great choices? Arabian horses have been bred for thousands of years to deliver great versatility, the best endurance, intelligence, responsiveness to humans and breath-taking beauty. 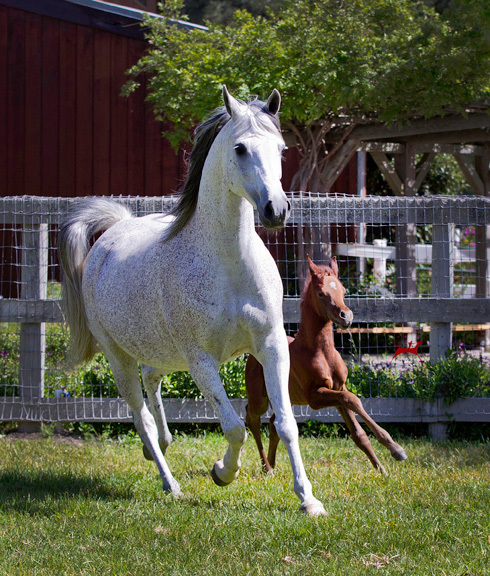 Since Half-Arabians and Anglo-Arabians have significant Arabian genetic contributions, they share these characteristics. Our horses are beautiful and they are the most versatile. You will find them competing in many rider age groups and disciplines including western, hunter, English, driving, halter, working western, dressage, jumping, endurance and competitive trail. You will also find them doing ranch work and taking their riders for relaxing trail rides. The Bedoins bred Arabian horses to be safe, intelligent and enjoyable family members; frequently, they shared their tents with their horses. The Arabians' intelligence and eagerness to please make them a pleasure to train and ride.